Looking for a unique gift? Want something that truly represents your company’s values, brand identity, in your colours? 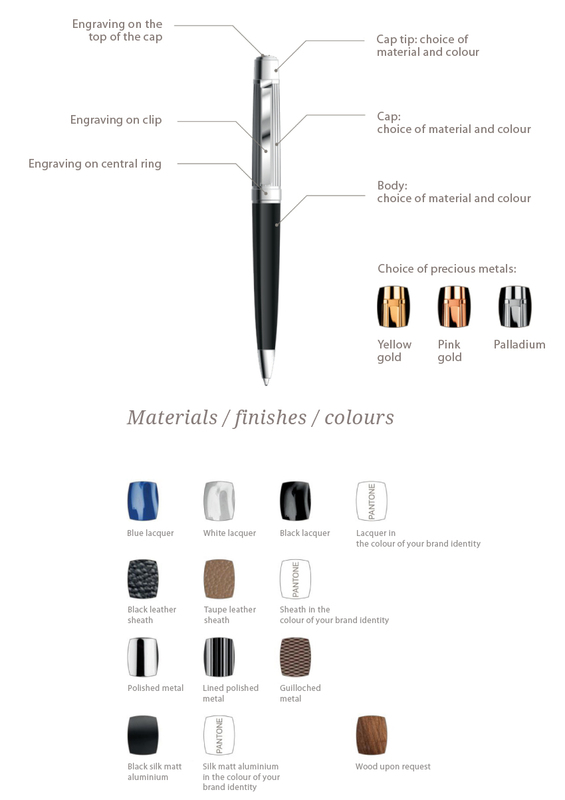 We offer upscale, personalised writing instruments that meet all your expectations: impeccable workmanship manufactured in Geneva, contemporary design with a virtually infinite choice of materials an engraving. A unique pen. Your pen, with your messaging. Whether you want to reward your best executives or offer your clients a symbol of recognition that’s always at their fingertips, always of their desk, your luxury pen says but one thing: “thank you”. In Geneva, we’ve put our know-how to the benefit of the finest luxury brands, a measure of quality since 1905.